With seemingly never-ending attractions in Gatlinburg and the Great Smoky Mountains National Park, the region makes for a perfect way for best friends to enjoy each other’s company or to rekindle an old friendship. While your first thought for an activity in the great outdoors might be hiking or biking in the Smokies, the Gatlinburg Mountain Coaster offers the thrill of adventure sports and a connection with nature without donning your hiking gear or working up a sweat. 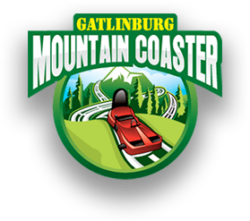 It’s hard even for best friends to agree on everything, but if one of you wants an outdoor activity and the other prefers less strenuous activities, the Gatlinburg Mountain Coaster can satisfy both of you. The experience starts with a trip in the uphill lift system, which whisks you through tree-cover to the top of the coaster, offering a perfect opportunity to catch the last of the autumn colors or, if you are visiting during the more wintery months, fresh snow blanketing the mountains. When you arrive at the top, the two of you will be seated in your own car. After drinking in the amazing view from the top, the two of you are off down the track! 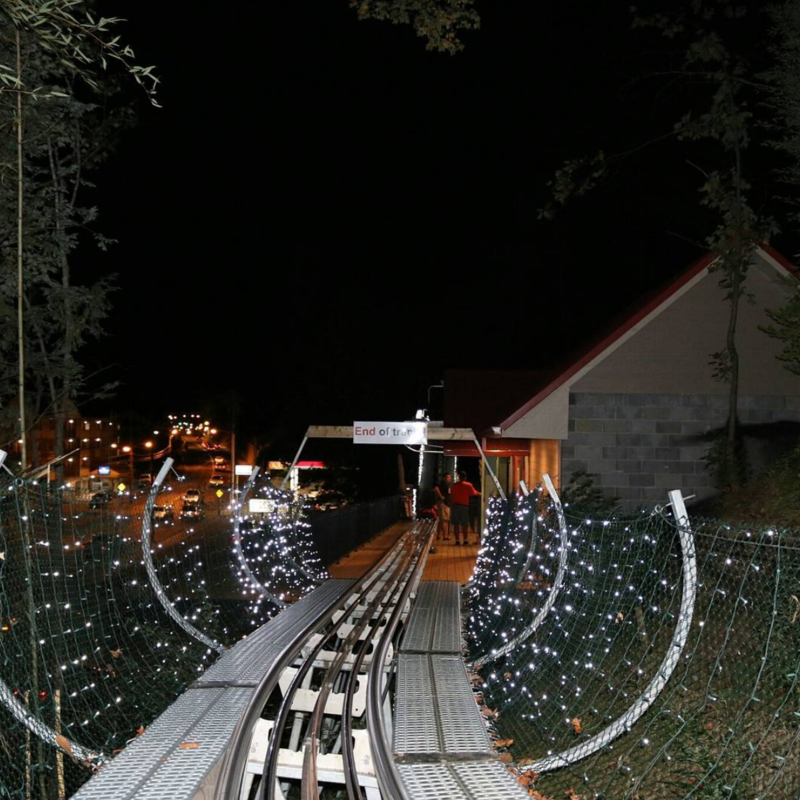 One of the several unique qualities of the Gatlinburg Mountain Coaster is that you are totally in control of your car. Spot a deer peeking out from behind a tree or want to take a picture of the leaves or fresh powder? Simply apply your carriage’s hand brakes! “Hand brakes?,” you might be thinking. That’s right! These specially-designed cars run solely based on gravity, with no lift chains connecting you to the track or other cars. This means you are quite literally in the driver’s seat! Want to slowly glide down the mountain and stop for a selfie or two? That’s definitely an option, or you can make a pact to whiz down the track without stopping for air. Either way, you set the pace. Bringing a friend who also has a need for speed? A second trip to the Gatlinburg Mountain Coaster is only eight bucks, making it easier to relive the thrills another time. Can’t get enough? We offer an All Day Pass for unlimited trips down the mountain, so come in the morning, park your car, and start your day off with a ride. With our convenient location just off the main road, you can go have lunch, do some shopping, or visit some of the other attractions in Gatlinburg before coming back for another ride. Make sure to save time at the end of the day for a nighttime ride, when we promise you nothing but speed in our No-Brakes Night Ride! And, whatever time of you day you descend, be sure to smile or scream for the photo and visit our photo booth and gift shop to pick up a souvenir to commemorate your time together.